Man’s new best friend. . . the humble goat? Humans and animals have a long history together. Goats, horses and other domesticated animals have helped develop society. Dogs have become our best friends! But do any of them think of US as friends? Meet Alan McElligott. His team studies — and makes friends with — goats! Researchers took pictures of both happy and angry human faces and posted them in a goat pen. Then they let the goats explore these unfamiliar faces. What happened? It took goats less than thirty seconds to identify a happy face! They would run up and nuzzle the smiling person’s picture. While they would sometimes examine the angry faces, goats tended to avoid them. 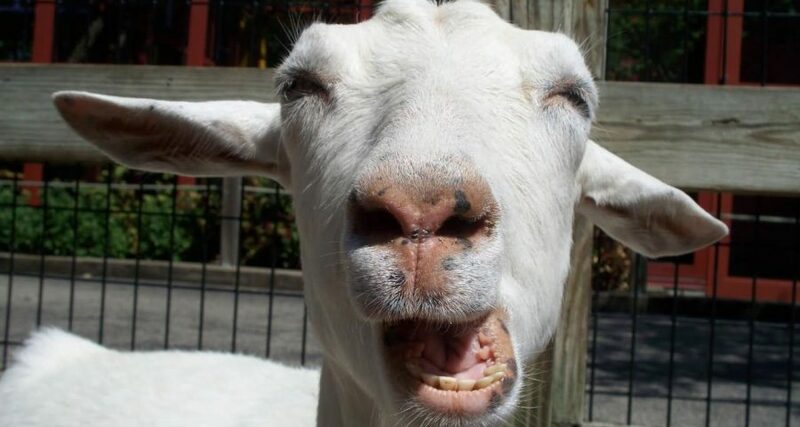 This is the first hard evidence that goats can directly read people’s expressions! We already knew that dogs can read our emotions. But goats were domesticated five thousand years after dogs! The researches think this could mean that emotions are a common part of human and animal evolution. But don’t worry Fido! You’re still top dog!